Roof rails are a great accessory that adds unique style to a vehicle while giving you more cargo options as you travel. The Volvo XC40 is available to drivers at Volvo Cars of Danville] with a couple of different roof rail choices. Both of the rails are engineered to work with the vehicle's aerodynamics. Sometimes, rails will produce significant noise as you're traveling down the highway. Depending on their design, they may also decrease fuel efficiency because of drag. 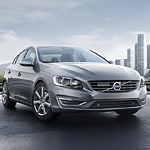 Volvo engineers wanted to wrap you in comfort and convenience when they designed the Volvo S60. This popular compact luxury class sedan has everything you need to enjoy the open road. Let’s see what the Volvo S60 has in store. 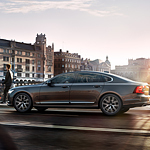 The Volvo engineers placed an emphasis on driver and passenger comfort. They included a 4-zone climate control package, power operated cushion extensions for both the driver and front passenger, and heated seats in the front and rear. The power driver’s seat has memory and will automatically adjust specifically for you every time you step behind the wheel.